Ron Boyd was born near Newport, Fife, Scotland and studied at Perth Academy, Duncan of Jordanstone College of Art, Dundee, under Alberto Morocco and David Mclure. He gained his Masters Degree in Fine Art at the Royal College of Art, Kensington Gore, London, under Ruskin Spear, Carel Weight and Sir Roger de Grey. Ron won First Prize in the prestigious "Spirit of London" painting competition for his oil painting, entitled "Putney Bridge". 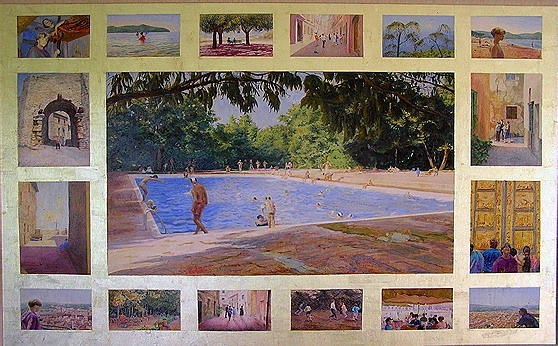 Ron's paintings and drawing are exhibited widely in Britain and abroad. His work has in the past been selected for the John Moores exhibition of contemporary painting at the Walker Art Gallery in Liverpool, and also for the Royal Academy summer exhibition. A landscape drawing over the River Wye was selected for the influential British Drawing exhibition at the Hayward Gallery, on London's South Bank. . Ron is also the recipient of the "Victor Moody Award" for drawing. 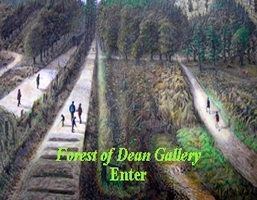 This award was given for a pencil and paper study of a Forest of Dean quarry. At present Ron lives and works in the Forest of Dean. Ron spends part of each day in the Forest and his ideas for paintings develop from this experience. Time and the seasons are integral elements in his work along with the use of space, light and colour. 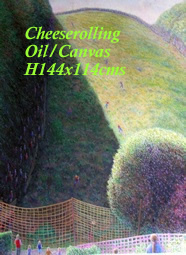 The imagery in my recent work has been drawn from around the area of the Forest of Dean in Gloucestershire, where I live. The ideas have developed out of long study of the Forest environment. 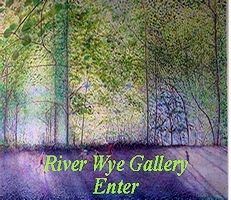 Recently my paintings have been based on the two rivers bordering the Forest, the Severn and the Wye. 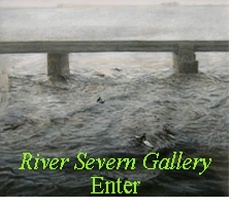 This work is in the form of some short series of images based on the Severn Bore and of individual pieces based on longer studies over time from a single viewpoint."